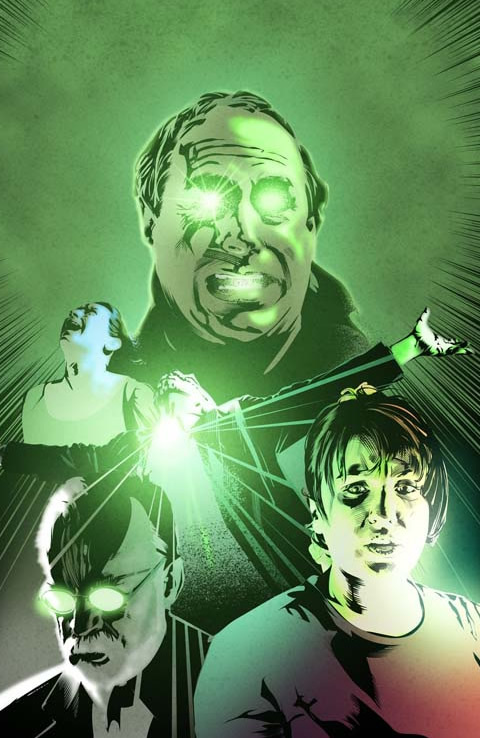 The first horror web comic exclusive to StephenKing.com, The Little Green God of Agony, is now available. Stephen King’s short story, the opener of Stephen Jones’s 2011 anthology, A Book of Horrors, and included in Ellen Datlow’s The Best Horror of the Year, Volume Four, tells from the point of view of his doubting nurse the tale of a paraplegic millionaire who wants to exorcise his pain. Adapted by well-known comic artist Dennis Calero (co-creator of Xmen Noir and Devil Inside), the webcomic will run in serial installments on Mondays, Wednesdays, and Fridays for eight weeks.